It may seem like one of the simplest step in your beauty routine, but incorrectly brushing your hair can lead to some serious strand snafus. 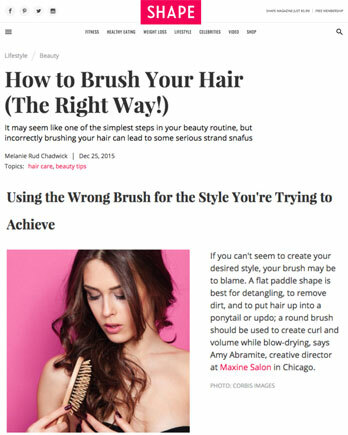 If you can't seem to create your desired style, your brush may be to blame. A flat paddle shape is best for detangling, to remove dirt, and to put hair up into a ponytail or updo; a round brush should be used to create curl and volume while blow-drying, says Amy Abramite, creative director at Maxine Salon in Chicago.